Air Gunner is aimed at those who are new or returning to the sport and includes hunting features and down-to-earth advice from experts in the field. 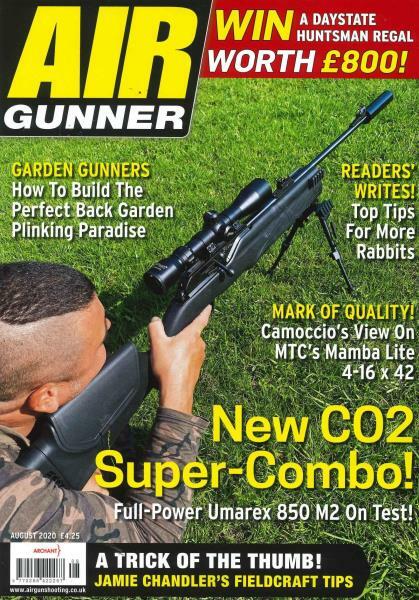 Buy a single copy or subscription to Air Gunner magazine. Fresh from a cover to cover re-design, Air Gunner is first with tests on the latest airguns and news from the airgunning world. This lively glossy magazine is aimed at those who are new or returning to the sport and includes hunting features and down-to-earth advice from experts in the field. It’s the only airgun magazine to have regular features from around the world and a section dedicated to collectors guns.